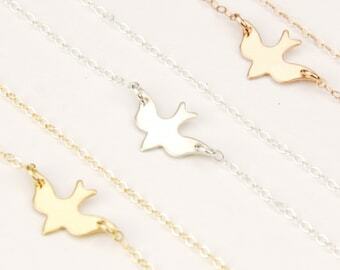 This interlocking heart necklace makes a super cute gift for mom, girlfriend, sister and best friend. 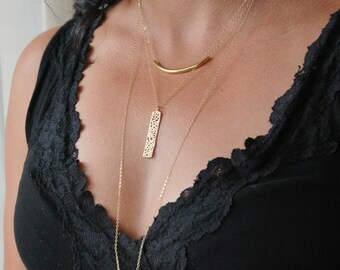 ••Dainty Chain: 14k gold fill and findings. 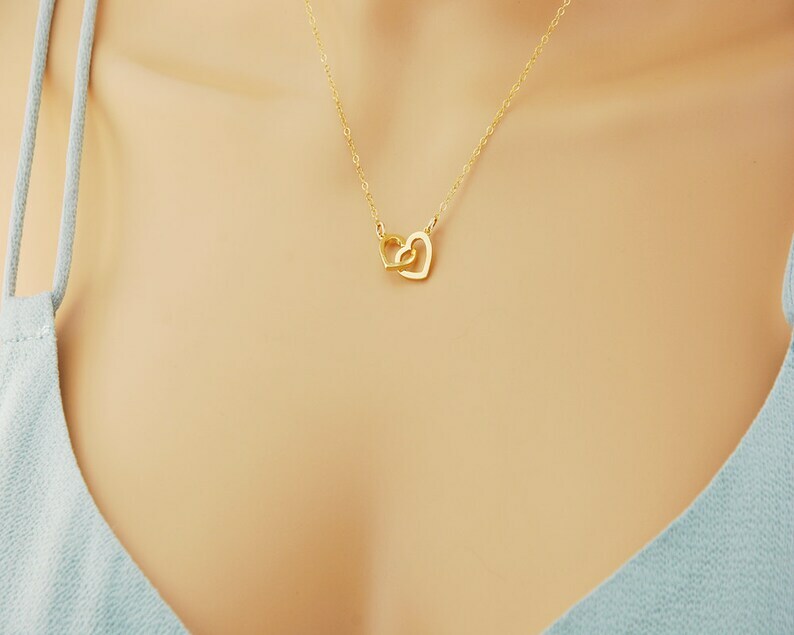 ••Interlocking heart pendant: gold plated measuring approx 3/8" x 13/16" (9.5 mm X 20 mm). Beautiful and super fast shipping! Thank you! !